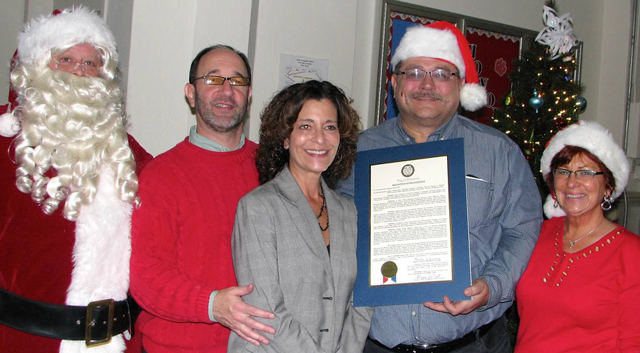 In mid-December, Richard and Reida Bartley, founders of Village Grace Mission Center in Cleveland, Ohio, were recognized by Cleveland City Council for their work with the Treasure Box Christmas Gift program over the past 20 years. The program has generated more than one million dollars in necessity items and school supplies to children in the Slavic Village area of Cleveland. 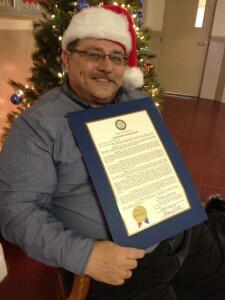 Anthony Brancatelli, Cleveland City Council member, was on hand to present a resolution to the couple. The proceedings were filmed by Grace Brethren pastor and church planter, Ron Boehm, who shared it on his Facebook page. The video is posted here with his permission. The Treasure Box Christmas Gift program is rooted in the Western Reserve Grace Church, a Grace Brethren congregation in Macedonia, Ohio (Jason Haymaker, pastor), which was then pastored by Boehm. A portion of the resolution appears below the video. Be it resolved, that Cleveland City Council proudly acknowledges the faithfulness that Reverend Richard and Reida Bartley have demonstrated with sharing the joy of Christmas and the Gospel of Jesus Christ with the needy children in the Slavic Village neighborhood of Cleveland. This Council further applauds the Village Grace Mission Center’s outstanding efforts in fostering solutions for children, youth, and families in need throughout the Greater Cleveland communities, and further extends best wishes to everyone involved for much continued success in the future.